The ancient Library of Alexandria, real as it once was, is essentially the stuff of myth. What we usually understand as libraries, even the most ambitious of libraries, don’t much resemble the myth or the reality of the original at the shore of the Mediterranean. 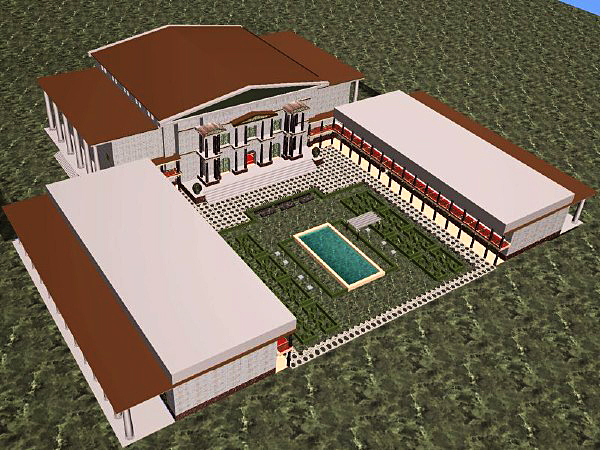 Though it was known in ancient times as the Mouseion (μουσεiον in Greek), a place holy to the Muses, from which comes our word, museum – more than anything else, it resembled the modern research university, built around, but not solely about, its store of recorded knowledge; in some ways, the Library stands as one of the founding models (and myths) of the universities of today. 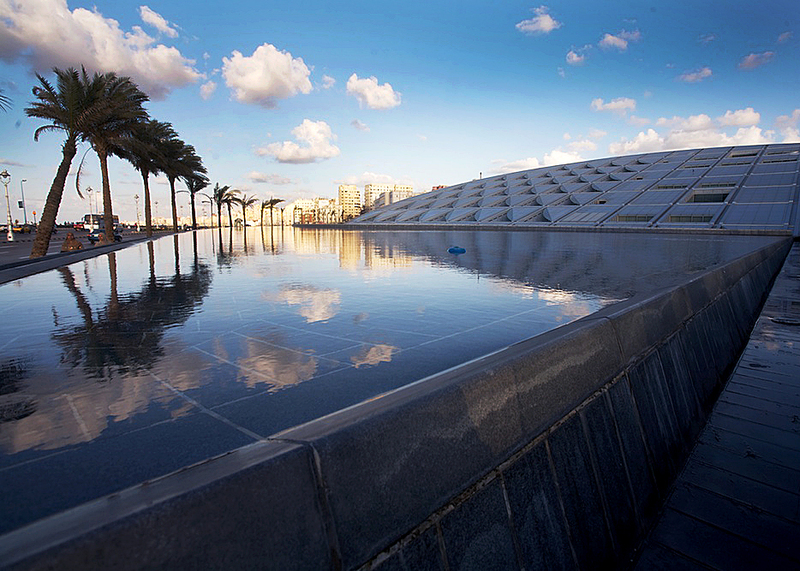 With the patronage and engagement of First Lady Suzanne Mubarak, and under the leadership of the charismatic Dr. Ismail Serageldin, the Bibliotheca Alexandrina has rapidly grown into a vast and complex suite of programs and facilities, including library-normal collections and services, four museums, exhibit spaces, information-technology R&D labs, the only external mirror site of the Internet Archive, cultural heritage programs and institutes, auditoria, a planetarium, publishing and grand open spaces. Like any self-respecting university, it hosts numerous conferences. In fact, it resembles nothing so much as a newly-built public university (though I can’t think of one of comparable grandeur). Except that it has no student enrollment and no faculty as such. Conveniently, the University of Alexandria – which lacks a library system – is adjacent, and the Bibliotheca Alexandrina campus is daily awash in university students, school groups, tourists, and researchers. The stunning, multi-level main reading room of the library, under a fantastic domed, sunlit ceiling, seats some 2,000; the Bibliotheca Alexandrina plausibly claims it to be the largest reading room in the world. During a weeklong visit in 2006, I did not see that chamber quite filled to capacity, but it was certainly heavily used. There are also several specialized libraries serving, children, teens, and the blind/visually impaired, and others dedicated to cartography, arts & multimedia, and special collections. 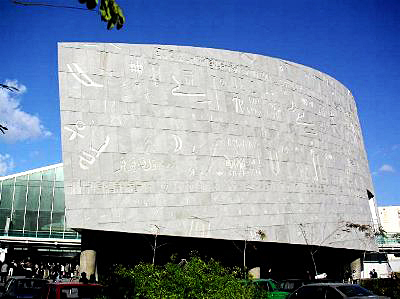 Despite its high profile, the Bibliotheca Alexandrina is not the national library of Egypt; the Dar Al-Kutub, established in Cairo in 1870, officially has that distinction, with extensive holdings primarily of Egyptian publications and manuscripts. So the Bibliotheca Alexandrina cannot build collections as a copyright depository or registry; by contrast, the original Library used its Ptolemaic patronage and confiscatory authority to amass the ancient world’s largest collection of manuscripts, roughly half a million scrolls, give or take a few hundred thousand (a shortage of hard facts is associated with an excess of conjecture on this point). With an initial collection of some 500,000 volumes (in 2002) and shelving for some 8 million volumes, the new Bibliotheca Alexandrina has the enviable luxury of growth capacity, something few other major libraries can boast. The Bibliotheca Alexandrina’s print collection has relied to a remarkable degree on donated books, in many languages and on many subjects. Patronage ranges from private local citizens to foreign governments to European royalty (Sweden’s Queen Silvia and Norway’s Queen Sonja opened the Bibliotheca Alexandrina’s Nobel Section, containing Nobel Literature winners from 1901 to the present). In 2010, for example, it received half a million volumes donated by the Bibliothèque nationale de France, an institution with which it has strong ties. Its collection scope, however, emphasizes digital as well as printed volumes and manuscripts. In addition to providing broad spectrum of born-digital information, it has a large book digitization lab to broaden online access to Arabic-language texts; for reasons associated with letter forms and diacritics, optical character recognition of Arabic printed texts is more challenging than that of Latin-alphabet languages, and Bibliotheca Alexandrina staff are leaders in this craft. The architecture of the Bibliotheca Alexandrina is spectacular, situated along the Corniche, facing the Mediterranean Sea. Designed by the Snøhetta Hamza Consortium of Egypt and Norway, it received the 2004 Aga Khan Award for Architecture, a competition supported by UNESCO. As the award citation explains, “The library was designed as a tilting disc rising from the ground, with four levels below ground and seven above. The scale of the building is thus minimized at close quarters, so it does not overwhelm the visitor.… The circular form of the library also has strong symbolic significance and an iconic presence. Its exterior wall is clad with four thousand granite blocks carved with letters from the  alphabets of the world.” Alexandria is a fascinating amalgam of old and new; Pharaonic, Hellenic, Roman, Arabic, colonial, 50s-modern, and contemporary, and the Bibliotheca Alexandrina offers a decidedly 21st century addition to the mix. Hosni Mubarak, now 82, has been president of Egypt for almost thirty years, a classic autocratic ruler. This has made it possible, among other things, for Egypt to have had a moderating regional role and a relatively stable domestic economy, which make it convenient for the West to overlook internal tensions. We have little idea of his succession; “Après moi, le déluge” might apply. Or not. One wishes to believe that the brilliance of the Bibliotheca Alexandrina as a center of learning, knowledge, and education will assure its transcending of politics. But it is closely associated with the Mubaraks, and to the extent that its modernism, internationalism, and essentially secular vision may elicit antagonism from now-repressed anti-modern or anti-Western elements, one hesitates to assume it will always enjoy its current immunity from the hurly-burly of politics. The first Library of Alexandria famously perished (a process that took centuries and a series of catastrophic events, not a single holocaust as usually imagined), and it is not impossible that its successor might meet the same tragic fate. For now, the new Bibliotheca Alexandrina instantiates the ancient and modern ideals of the previous Mouseion and serves as a practicum of hope for global dialogue.